Dad, God loves me even when I sin. I remember hearing my son say this when he was only 3 years old. Actually, he became really good at saying it. Perhaps he was speaking from a place of early childhood biblical understanding, but his tone suggested he was deflecting any hint of responsibility for his actions. My wife and I quietly laughed at the truthfulness of the statement, but we also realized our need to teach and model the pursuit of holiness in a grace-drenched environment. From our kids’ earliest days we’ve talked to them about God’s holiness, humanity’s sin and rebellion, Christ’s redeeming work, and how we should live in response to this good news. We’ve worked to make the gospel and its mark on our lives clear. We want our children to have gospel reflexes when they sin, but this also means pursuing holiness in response to God’s love. Our prayer is that they walk in truth, love Jesus and his church, flee sin, and live with God’s glory as their aim. We must teach our children that while, yes, God loves them even when they sin, he also loves them enough to not let them stay there. Over the years the same boy who said “Dad, God loves me even when I sin” (along with “Dad, you’re a sinner too”) is now learning to pull the weeds of selfishness and pride from his own heart. A few weeks ago while we sat together in my home office I was trying to show him the significance of his sin in a particular (and regular) situation. I was angry with him and felt defeated. Eventually, I yelled at him out of frustration with seeing no change and him not wanting to take responsibility for his sin. Then, in the middle of me trying to diagnose his sin, it seemed every sentence coming out of my mouth revealed questions I needed to answer as well. Don’t you realize that in your actions you’re showing you only care about putting yourself first? Can’t you see the effect your sin is having on our family when you continue to act this way toward the people you love? Over the course of a few minutes, the Lord showed me that what I was angry about in my son was the same sin I harbor in my own heart. Pride. Selfishness. It’s disgusting. Oh, it may look different. My sin may become easier to hide and more nuanced with age, but it’s the same ugly root that needs to be severed. My son and I both need the good news of the gospel. What I thought could be a teachable moment for him ended up being one for me. As I saw the heaviness of my own sin, the burning in my chest became too much to bear, and it gave way to tears streaming down my face. This wasn’t the sweet, sentimental tears of television. This was the ugly cry, complete with sorrow and snot. We sat and cried and talked together. It was one of those moments where you just want to sit in it for the afternoon and let whatever is happening silently run its course. We prayed for each other. We confessed our sin together. We grew. My son is my brother in Christ. We’re fellow heirs (Rom. 8:17), co-combatants in the war against sin. God’s grace is at work in our lives, conforming us to the likeness of Jesus. And one of the ways is through encounters like this one. It was a teachable moment for us both. As fathers we must pray for and practice gospel reflexes as we love, lead, protect, and serve our children. Fatherhood is a sacred trust, a stewardship of holding high the gospel of grace and allowing our sin to be exposed in its light. If as fathers we need grace—and my how we do—it’s a crime to not communicate and demonstrate this grace to our kids. This means getting our hands dirty in the work of the heart. And it means starting with our own heart before proceeding to the hearts of our children. 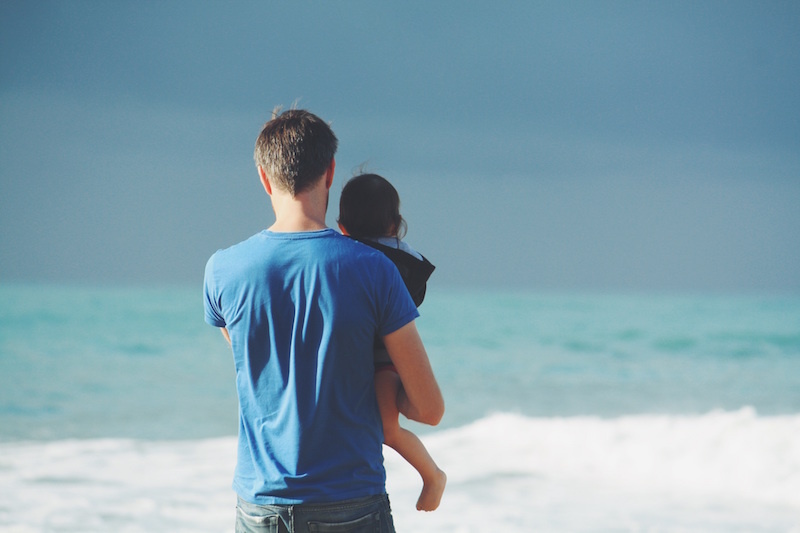 This Father’s Day I pray we look at our children with the end in sight: raising them to be men and women whose lives are marked by gospel grace and gospel power. May we be fathers who point our children to the true and better Father. May we teach our kids that God keeps loving us even when we sin, and that God loves us enough to not let us stay there.